Please tell us about your case or legal issue. If you have a criminal charge pending, or a legal dispute with another person or business it is important not to discuss specific facts about your case, but just give a general description of what you'd like us to help you with. For example, you can tell us that your were arrested, and what the charge is, that you were in a car accident, or that you would like to have a will, but don't tell us any names or the specifics of your case. When we contact you we'll be able to ask more questions to find out more about your case. This is for your protection. If we can't represent you for any reason, it's best that we don't know too much information. We'll use this information to first determine if we can represent you. Once we do that, we'll schedule an appointment to talk more about your case and how we can help you. *Once submitted, this form will be reviewed by our staff for further processing. Submitting this form does not create a lawyer-client relationship. Please use this page to register. We'd be happy to meet with you to discuss your legal needs. ​If you need to schedule a consultation, please click on the "Schedule With Us" button at the bottom of the page. If you're a new client, please select the "New Client Consultation" option. If you don't need a consultation, please complete the form on this page. 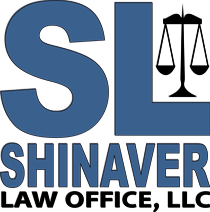 If you have any questions or concerns, or need immediate assistance please feel free to contact us at info@shinaverlaw.com or 567-343-5453 (call or text). Non-emergency calls and messages are returned no later than the end of the next business day. Emergency calls are returned as soon as possible, including evenings and weekends, subject to appropriate billing.